The internet is rife with hackers eager to access your personal data, but that doesn’t mean you should live in fear. 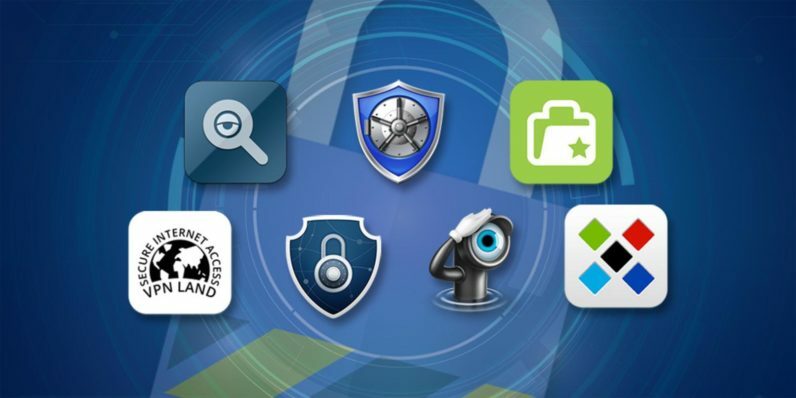 Thankfully, there’s the Ultimate Mac Cyber Security Bundle – featuring seven top-notch security apps. VPN Land: Utilize masked IP addresses for secure internet browsing, as well as speedy connections anywhere thanks to over 400 reliable servers. You’ll also sidestep geo-restrictions to keep up with your favourite Netflix shows. Periscope Pro 3: This is a prime video surveillance program for your Mac, allowing you to covertly monitor or record any setting. Its motion and audio detection capabilities lets you record and upload clips immediately, or store them on your Mac for easy viewing. The Koofr 100GB Plan: Connect all your cloud accounts and personal storage, consolidating your files in one secure location. You’ll free up hard drive space and do away with the headaches of searching for files in all your devices. Sticky Password Premium: This service makes password management a breeze. Your one-year subscription gives you access to an efficient password manager and form-filler, complete with AES-256 military-grade encryption. The Ultimate Mac Cyber Security Bundle offers total security and peace of mind for your sensitive data. For a limited time, you can take 79 percent off the retail cost via TNW Deals.